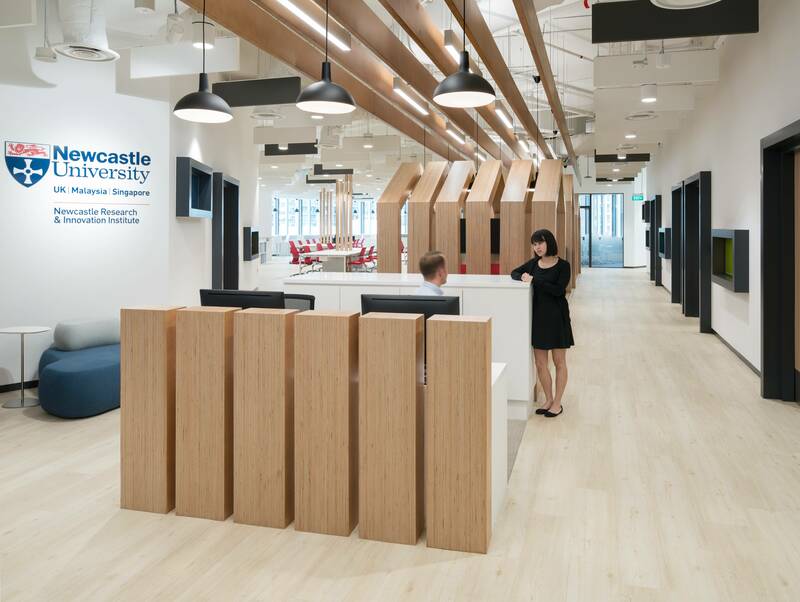 Newcastle Research & Innovation Institute (NewRIIS) is Newcastle University's new cutting-edge research facility in Singapore. 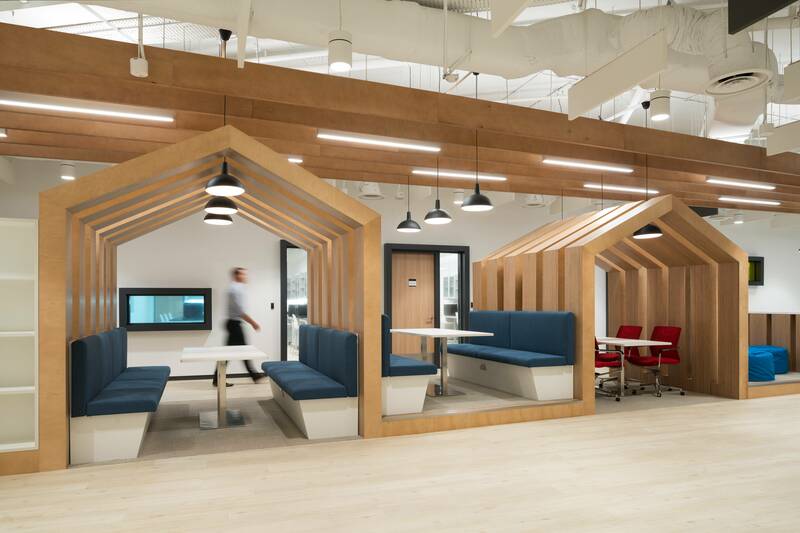 Located at the Devan Nair Institute for Employment and Employability, NewRIIS houses four research laboratories, a visualisation suite, two 50-seat classrooms, open-plan research areas and seminar facilities. We developed the brief and design proposals working in close collaboration with a range of stakeholders. 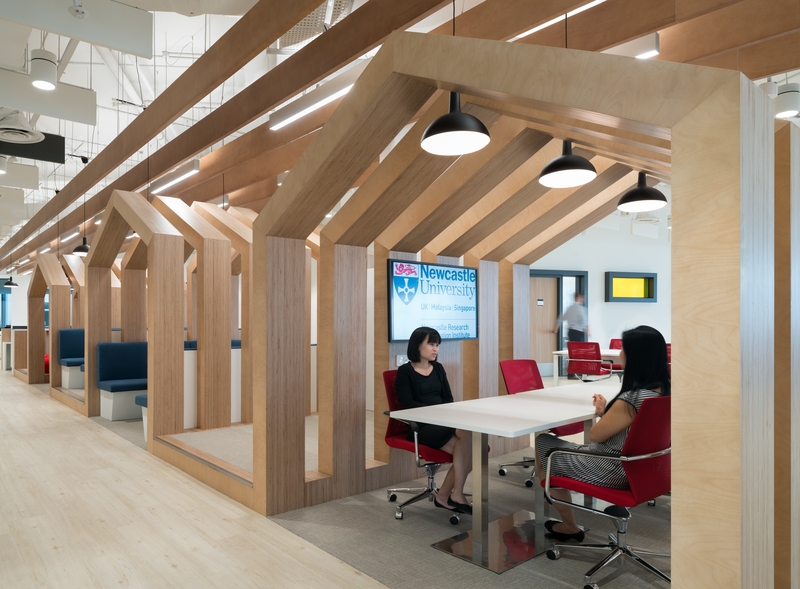 The concept embodies the University’s aims to develop its international research agenda, showcase innovation and facilitate collaboration with renowned research and industrial partners. 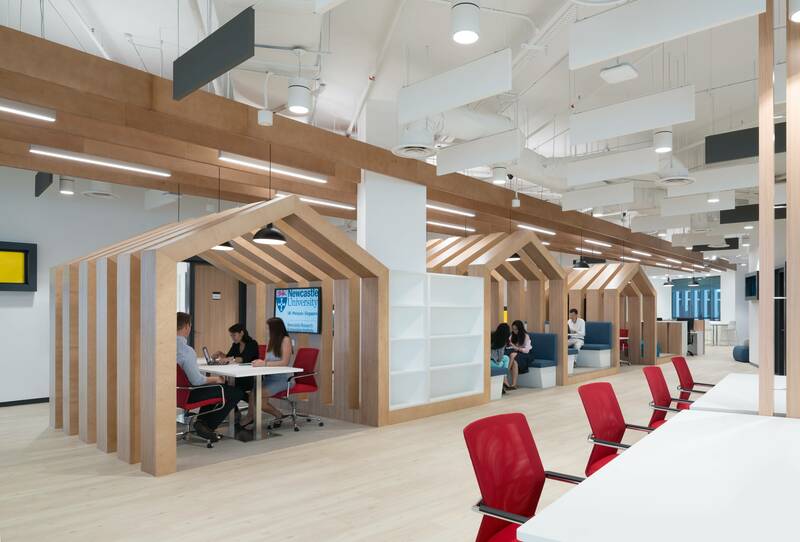 The central study booths are created by a continuous linear component which folds along its length to provide smaller, more intimate learning zones within the large, open plan study area. 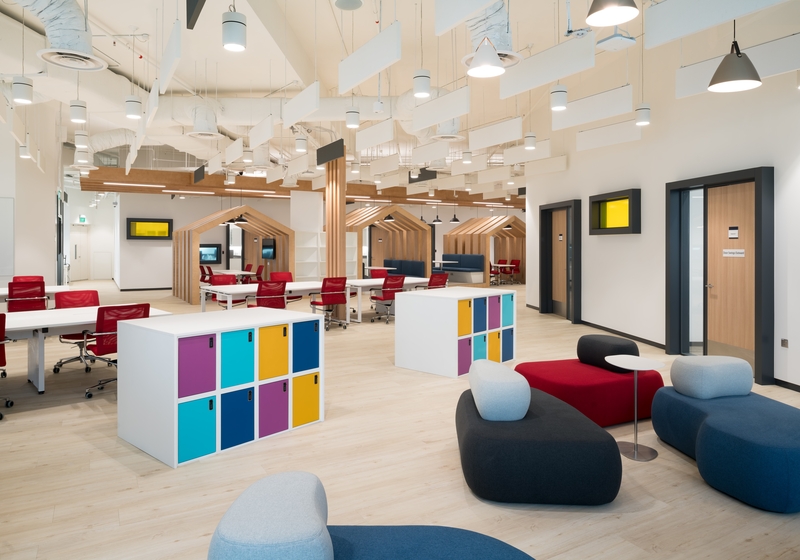 The laboratories, seminar rooms and visualisation suites utilise internal vision panels to maintain visual connectivity whilst remaining acoustically isolated.